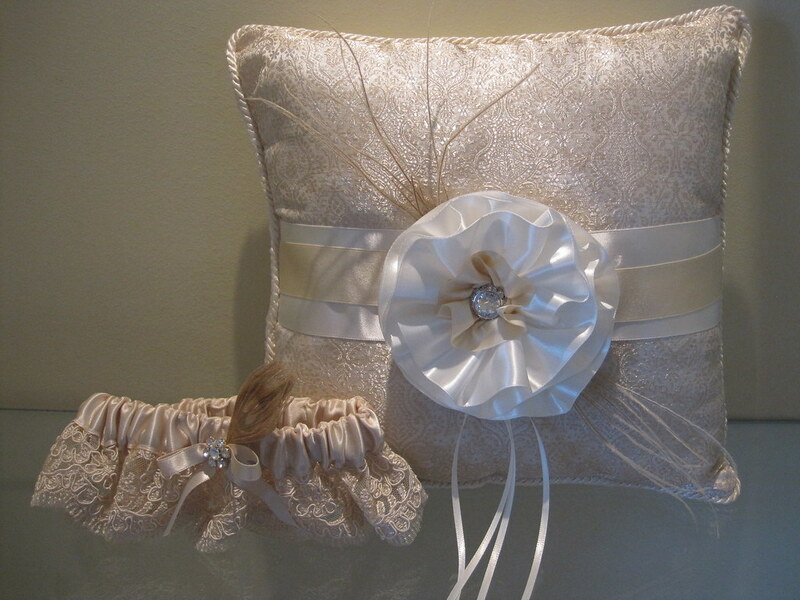 Bridal Style’s tailor-made wedding accessory collection has arrived! 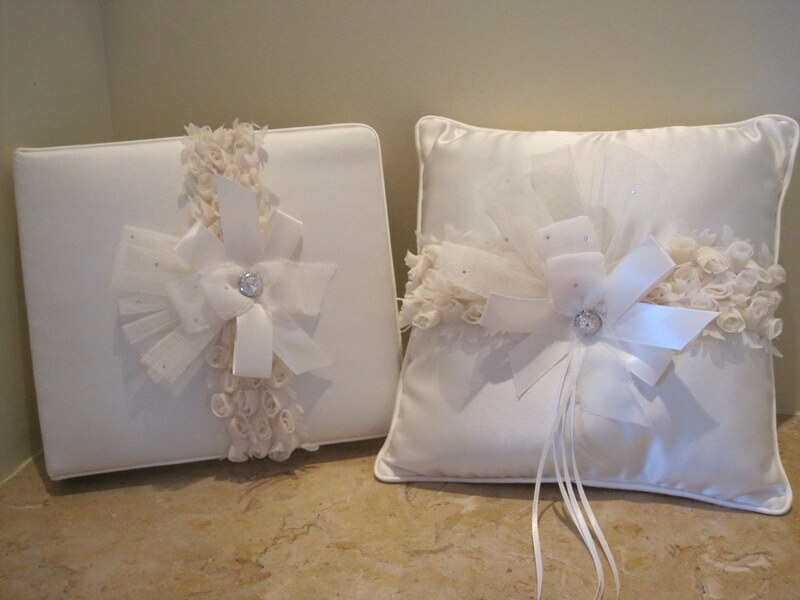 Available separately or as a set, our new couture ring bearer pillows, guest books, garters and flower baskets can be personalized in an array of colors to complement your wedding. To create a set custom designed for you, visit us in our Brooklyn boutique! 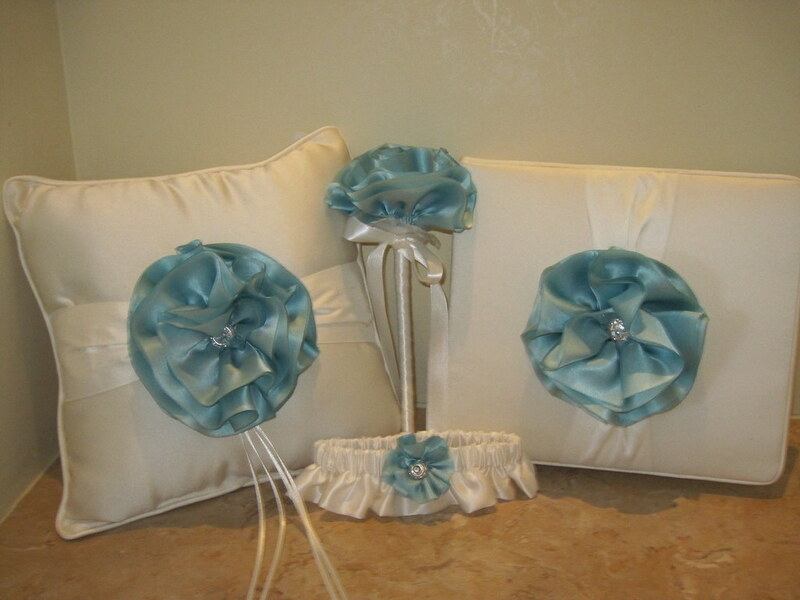 Hand-dyed silk flowers finished with a Swarovski crystal adorn a soft, satin ring bearer pillow, garter, flower basket (not pictured), guestbook and pen. This entry was posted on Tuesday, June 14th, 2011 at 10:14 am	and is filed under Announcements. You can follow any responses to this entry through the RSS 2.0 feed. You can skip to the end and leave a response. Pinging is currently not allowed. I am looking for a blue garter or a white and blue garter. I prefer the second look the Embroidered silk brocade is complimented by two-tone satin ribbon then finished with feathers and a Swarovski centered flower. Is it possible to get this in white with hints of blue? and what would be the cost? 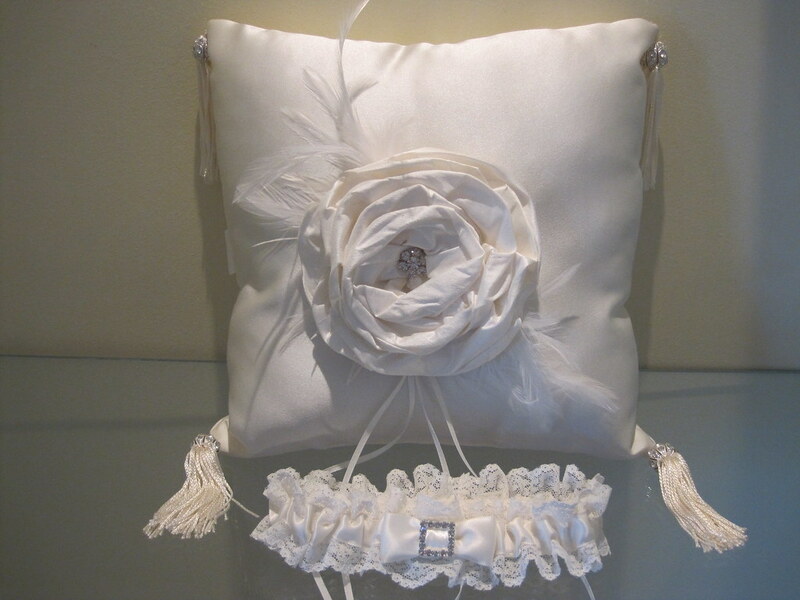 We can have this garter made up for you in white with touches of blue and a white feather. I will check on the price and email it to you shortly. 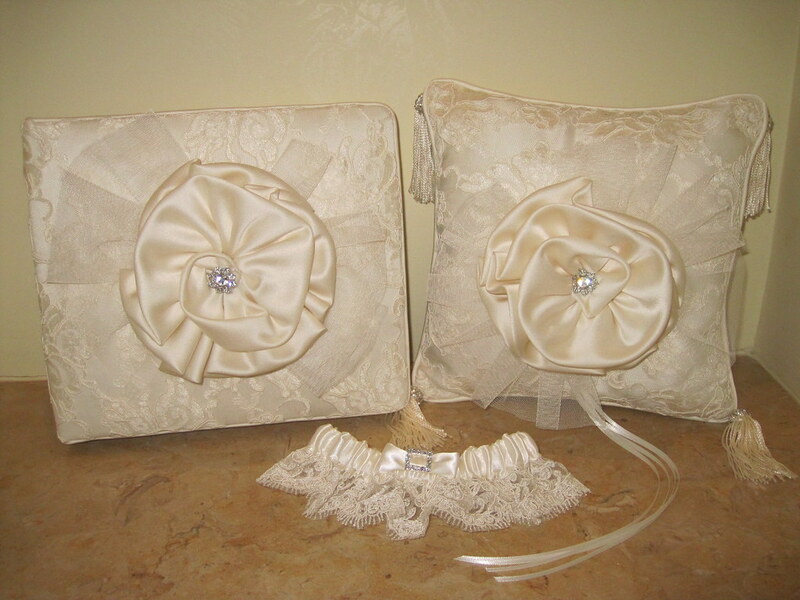 We do have other beautiful garters on display in our store that were not photographed. You are welcome to stop by and take a look, anytime.